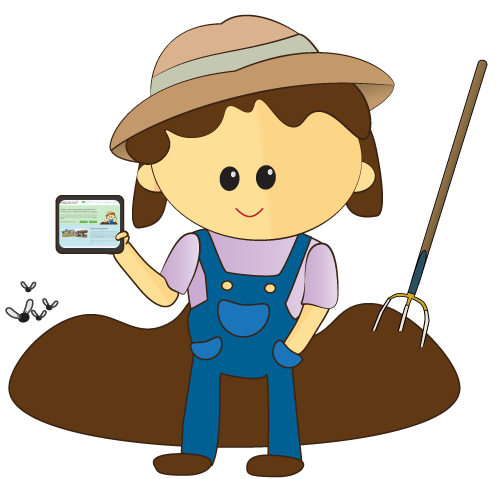 The Manure Link program is run as part of the LEPS Horse Manure Composting program and was designed to benefit local gardeners, farmers, and horse owners. The program connects gardeners and landscapers with a free source of organic fertilizer, and provides local farmers and horse-owners with an outlet for excess composted manure. By making this connection, both gardeners and farmers will be working together to improve the health of our local communities and environment. Gardeners will be decreasing their use of chemical soil amendments and farmers will be ensuring that piles of unused compost will not be left to potentially pollute the environment. The Horse Manure Composting program is also helping to bridge the gap between rural and urban living. As urban development encroaches on agricultural lands it is critical that both communities are able to coexist. LEPS is helping farmers to be good neighbours by managing their manure appropriately and by helping urban neighbours to appreciate the value of having farms in their communities. The Manure Link program is an excellent example of this as local farms are providing a valuable soil amendment that can be used for all of the landscaping demands of an urban neighbourhood. Composted manure is an excellent natural soil enhancer. Composted manure not only provides your plants and lawn with a more accessible natural source of nitrogen and organic matter. Nitrogen is stored in the soil and is available to the plants on an on-demand basis. Apart from being a great natural soil amendment, the process of composting manure has additional benefits as well. Visit the why to compost page to find out more.